dance.net - Highland Choreography Dress (10244294) - Read article: Ballet, Jazz, Modern, Hip Hop, Tap, Irish, Disco, Twirling, Cheer: Photos, Chat, Games, Jobs, Events! 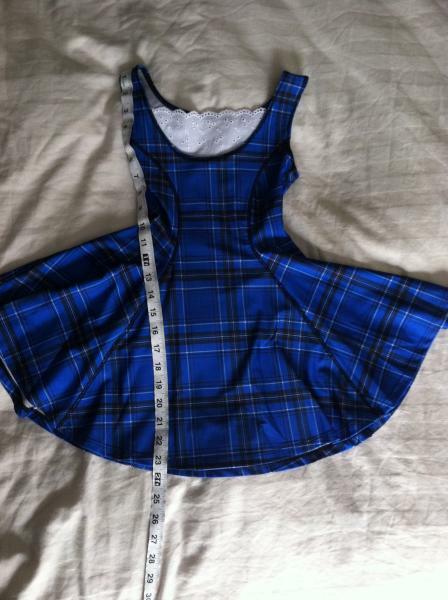 Lightweight royal blue and black plaid choreography dress. One piece, halter sleeves. Dress is made of stretchy material like a swim suit with a slight sheen. Skirt is generous and flares beautifully when dancer spins. I purchased this new (I think it was meant for figure skating) and added the lace. My dancer only wore it once for competition so it is like-new condition. 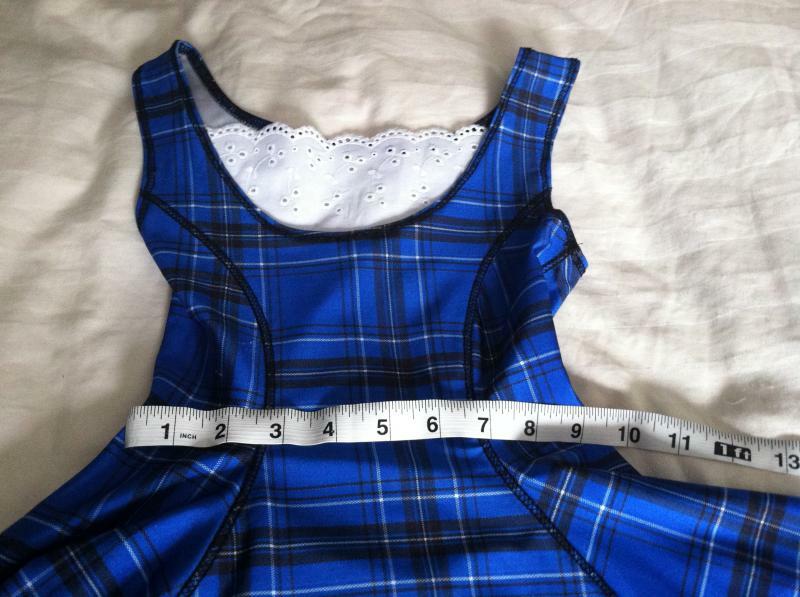 She was age 9 but is on the small side so be sure to check measurements on photos. Approx 24 inches from shoulder to bottom hem. 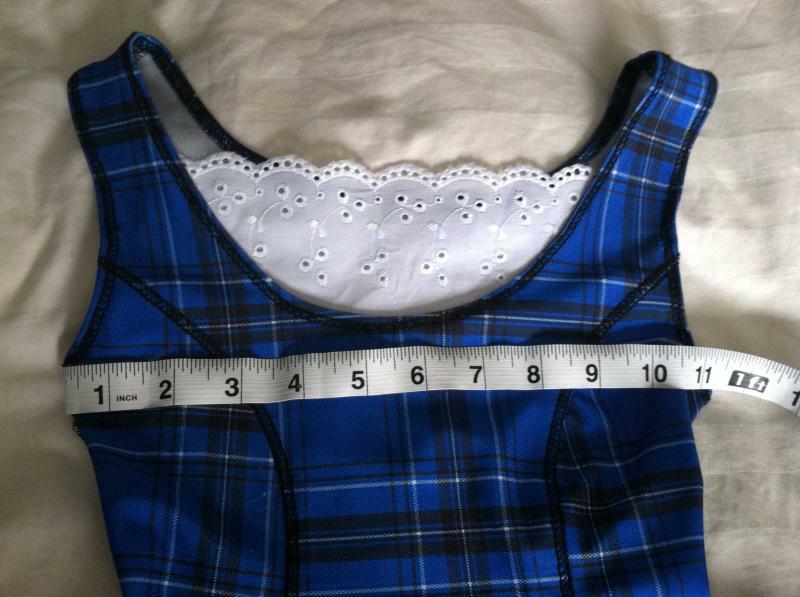 Bodice is stretchy like a leotard/swimsuit and fits snug against the dancer. $50 USD plus post from MI, USA with signature/tracking. Will post internationally at buyer's expense, serious international inquiries only please. Paypal for payment please. Posted on other sale sites.